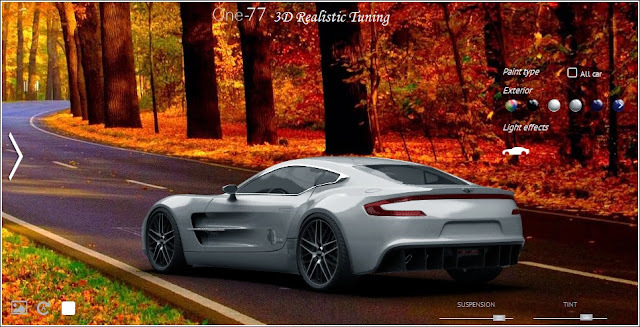 I happened across a website today that lets you tune a variety of 3D model cars. There's a great selection and the models are pretty accurate and seem to be fully licensed. You can experiment with anything from a family hatchback, range of SUVs, through to luxury and exotic performance cars. 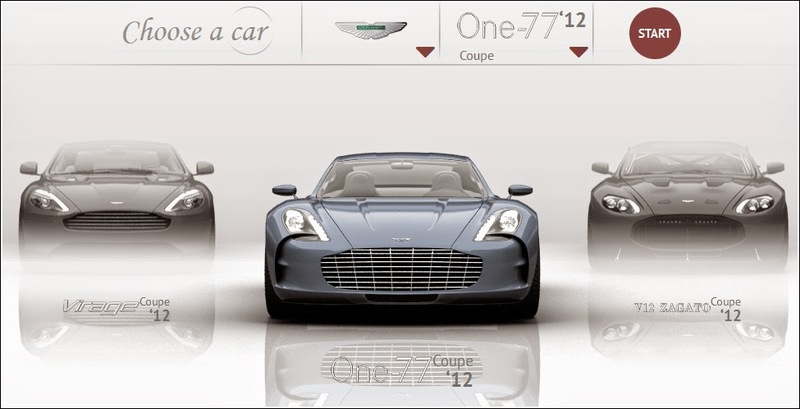 Once you've chosen a car, you're then taken to a screen that gives you various options to change and play around with. You can change paint colours of sections of bodywork and also the finish such as glossy, matte, or even iridescent. Alloy wheels can be switched out for licensed parts from manufacturers such as BBS. 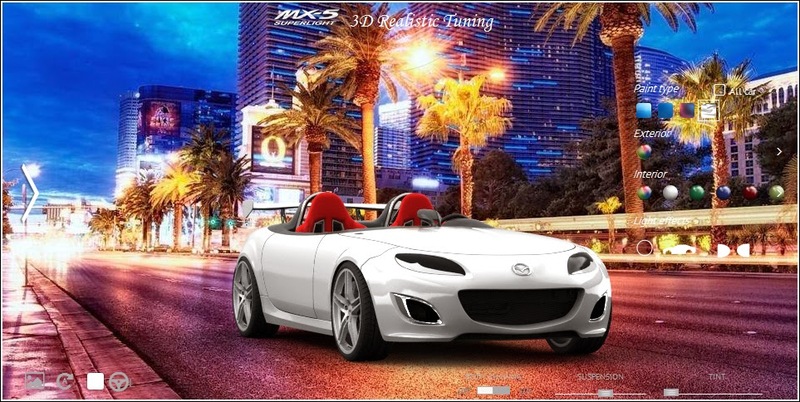 Suspension can be lowered, windows tinted, and underbody neons added if that's your thing. 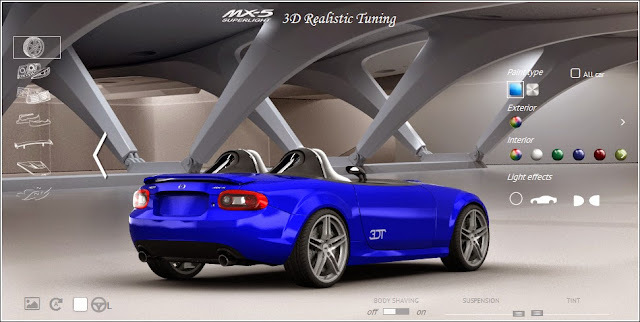 Depending on the car chosen, you can add parts such as bonnet scoops, door mirrors, and rear wings. 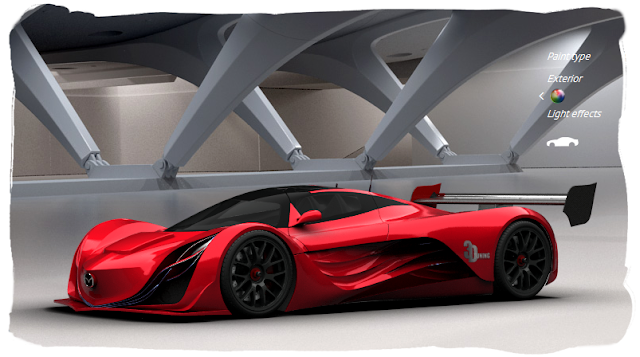 I started out with the Mazda Furai, and you'll also find the Superlight Concept car can be played around with. It's pretty fun little website and there is also a mobile app so you can tune your Lamborghini whilst on the train.